CentOS Linux on 32GB USB Drive | Linux DVD Shop - UK Linux Shop supplying Linux on CD, DVD and USB with Free UK Delivery, 24Hr Dispatch. CentOS Linux 7-1810 USB is based on RedHat Enterprise Linux and is increasingly becoming a contender for the operating system on Linux servers worldwide. CentOS offers superb stability and security, perfect for desktop use or provides a cheap server system. This USB brings together the majority of features and applications. CentOS Linux has the same look and feel of Red Hat Linux but uses the latest tried and tested versions of programs and software. 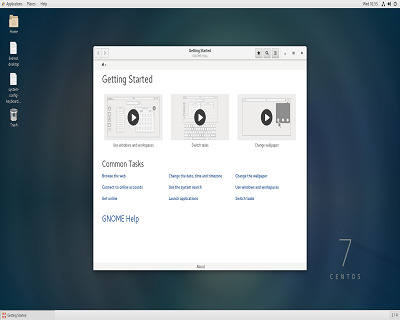 CentOS uses the default Gnome desktop environment and with the huge amount of server utilities available it really is an up and coming contender to be number 1 in the server market - also perfectly viable as a workstation operating system too.